1. 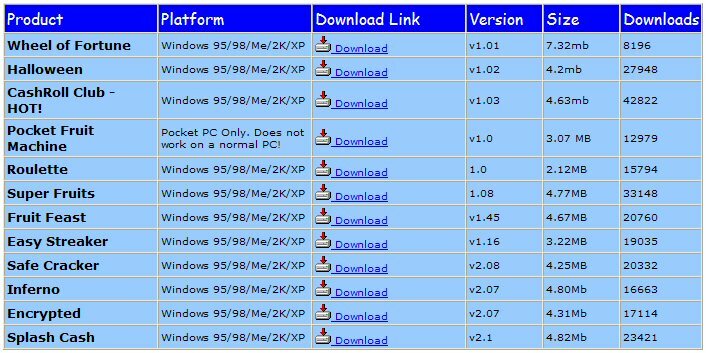 Click on a download location of the game you require to begin your download. 2. A dialogue box similar to the one below will open, choose "save"
3. 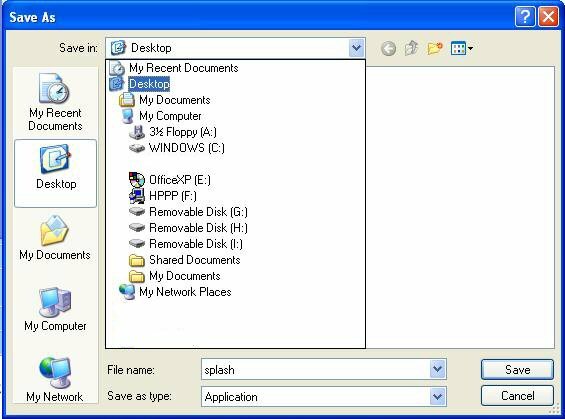 Next, this box below will appear, choose "desktop" from the menu, and then click "save". 4. The following dialogue box will appear, confirming the download has begun. When the download is 100% complete you are ready to install the game. 5. Go back to your desktop and double click on the file you have just downloaded (see image below) to begin the installation of your game. 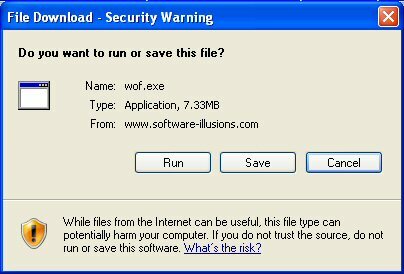 Once complete, go to your start menu, select "Software Illusions" from the program files, and click on the game you wish to play.